The Good Intent responded a MVA in the area of the Former China Inn Restaurant. Vehicle into a fence. The Good Intent responded to Reilly Twp for a MVA. The Good Intent responded 199 N Tremont ST for an off road vehicle accident. Members assisted R518 with patient removal. Utility 3-70 setup a landing zone in a 75' x 75' field on top of the mountain. The Good Intent personnel responded to assist ambulance personnel with a fall patient. The Good Intent responded to the Station Bar n Grill for a structure fire. Small fire within the wall of the kitchen. 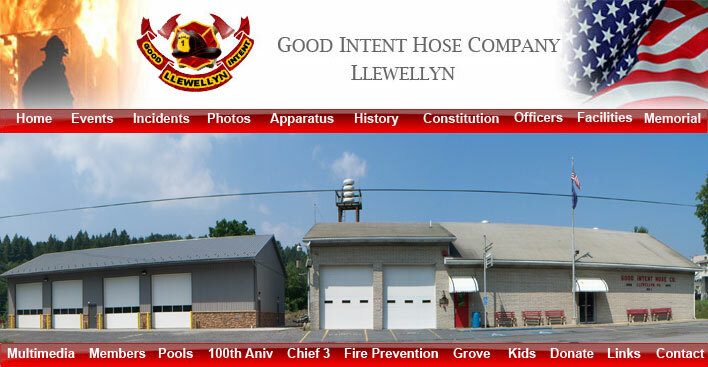 The Good Intent responded 112 S State RD for a CO alarm activation. Furnace chimney pipe was blocked.